Starting from the upcoming Spring 2018 issue, the Strategic Trade Review will feature a new section devoted to practitioners’ perspectives on export control and sanctions topics. 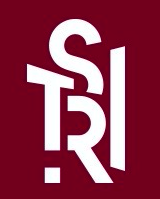 These articles, like all articles in STR, will undergo a double-blind peer review process to ensure the high-quality of published work appearing in the journal. This new section aims to contribute to knowledge, information-sharing, and good practice on important topics such as compliance, proliferation finance, enforcement, investigations, and more. If you are an export control or sanctions practitioner interested in submitting an article for the next issue, please contact the Editor at info@strategictraderesearch.org. Articles should focus on practitioner experience, as well as focus on analysis, perspective, and recommendations. If you are interested in peer reviewing articles or have any questions, contact the Editor at the e-mail above.